"Restoring Dignity to the Forgotten"
The information on this page was sourced from various internet sites and research. If you find something that is not accurate, please submit the item with the correction and verification source through our site Contact Us page. The following general information is presented “as is” as a public service. Of the 2.7 million, between 1 – 1.6 million (40 – 60%) either fought in combat, provided close support or were at least fairly regularly exposed to enemy attack. 8,744,000 GIs were on active duty during the war (Aug 5, 1964 – March 28, 1973). 3,403,100 (Including 514,300 offshore) personnel served in the Southeast Asia Theater (Vietnam, Laos, Cambodia, flight crews based in Thailand, and sailors in adjacent South China Sea waters). Severely disabled: 75,000 — 23,214 – 100% disabled; 5,283 lost limbs; 1,081 sustained multiple amputations. Amputation or crippling wounds to the lower extremities were 300% higher than in WWII and 70% higher than Korea. Multiple amputations occurred at the rate of 18.4% compared to 5.7% in WWII. One soldier killed in Vietnam was only 15 years old. 25% (648,500) of total forces in country were draftees. (66% of U.S. armed forces members were drafted during WWII. 86.3% of the men who died in Vietnam were Caucasian (includes Hispanics); 12.5% (7,241) were black; 1.2% belonged to other races. Deaths by region per 100,000 of population: South — 31%, West — 29.9%; Midwest — 28.4%; Northeast — 23.5%. 66% of Vietnam vets say they would serve again if called upon. 87% of the public now holds Vietnam veterans in high esteem!!!!! Isolated atrocities committed by American soldiers produced torrents of outrage from antiwar critics and the news media while Communist atrocities were so common that they received hardly any attention at all. The United States sought to minimize and prevent attacks on civilians while North Vietnam made attacks on civilians a centerpiece of its strategy. Americans who deliberately killed civilians received prison sentences while Communists who did so received commendations. From 1957 to 1973, the National Liberation Front assassinated 36,725 South Vietnamese and abducted another 58,499. The death squads focused on leaders at the village level and on anyone who improved the lives of the peasants such as medical personnel, social workers, and schoolteachers. [Nixon] Atrocities – every war has atrocities. War is brutal and not fair. Innocent people get killed. 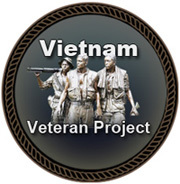 2/3 of the men who served in Vietnam were volunteers. 2/3 of the men who served in World War II were drafted. [Westmoreland] Approximately 70% of those killed were volunteers. [McCaffrey] Many men volunteered for the draft so even some of the draftees were actually volunteers. Servicemen who went to Vietnam from well-to-do areas had a slightly elevated risk of dying because they were more likely to be pilots or infantry officers. Myth: The average age of an infantryman fighting in Vietnam was 19. Myth: The domino theory was proved false. Myth: The fighting in Vietnam was not as intense as in World War II. We believe that the Huey along with the Huey Cobra have more combat flight time than any other aircraft in the history of warfare assuming you count actual hostile fire exposure versus battle area exposure. As an example, heavy bombers during World War II most often flew missions lasting many hours with only 10 to 20 minutes of that time exposed to hostile fire. Helicopters in Vietnam seldom flew above 1,500 feet which is traffic pattern altitude for bombers and were always exposed to hostile fire even in their base camps. Myth: Air America, the airline operated by the CIA in Southeast Asia, and its pilots were involved in drug trafficking. Myth: The American military was running for their lives during the fall of Saigon in April 1975. The picture of a Huey helicopter evacuating people from the top of what was billed as being the U.S. Embassy in Saigon during the last week of April 1975 during the fall of Saigon helped to establish this myth. Here are some facts to clear up that poor job of reporting by the news media. It was a “civilian” (Air America) Huey not Army or Marines. Myth: Kim Phuc, the little nine year old Vietnamese girl running naked from the napalm strike near Trang Bang on 8 June 1972, was burned by Americans bombing Trang Bang. No American had involvement in this incident near Trang Bang that burned Phan Thi Kim Phuc. The planes doing the bombing near the village were VNAF (Vietnam Air Force) and were being flown by Vietnamese pilots in support of South Vietnamese troops on the ground. The Vietnamese pilot who dropped the napalm in error is currently living in the United States. Even the AP photographer, Nick Ut, who took the picture was Vietnamese. The incident in the photo took place on the second day of a three day battle between the North Vietnamese Army (NVA) who occupied the village of Trang Bang and the ARVN (Army of the Republic of Vietnam) who were trying to force the NVA out of the village. Recent reports in the news media that an American commander ordered the air strike that burned Kim Phuc are incorrect. There were no Americans involved in any capacity. “We (Americans) had nothing to do with controlling VNAF,” according to Lieutenant General (Ret) James F. Hollingsworth, the Commanding General of TRAC at that time. Also, it has been incorrectly reported that two of Kim Phuc’s brothers were killed in this incident. They were Kim’s cousins not her brothers. THE UNITED STATES DID NOT LOSE THE WAR IN VIETNAM, THE SOUTH VIETNAMESE DID after the U.S. Congress cut off funding. The South Vietnamese ran out of fuel, ammunition and other supplies because of a lack of support from Congress while the North Vietnamese were very well supplied by China and the Soviet Union. Politics & People, On Vietnam, Clinton Should Follow a Hero’s Advice, contained this quote about Vietnam, there has been “the most extensive accounting in the history of human warfare” of those missing in action. While there are still officially more than 2,200 cases, there now are only 55 incidents of American servicemen who were last seen alive but aren’t accounted for. By contrast, there still are 78,000 unaccounted-for Americans from World War II and 8,100 from the Korean conflict. [Parade Magazine] August 18, 1996 page 10. [McCaffrey] Speech by Lt. Gen. Barry R. McCaffrey, (reproduced in the Pentagram, June 4, 1993) assistant to the Chairman of the Joint Chiefs of Staff, to Vietnam veterans and visitors gathered at “The Wall”, Memorial Day 1993. [The Wall Street Journal] The Wall Street Journal, 1 June 1996 page A15. [VHPA 1993] Vietnam Helicopter Pilots Association 1993 Membership Directory page 130. [VHPA Databases] Vietnam Helicopter Pilots Association Databases. [1996 Information Please Almanac] 1995 Information Please Almanac Atlas & Yearbook 49th edition, Houghton Mifflin Company, Boston & New York 1996, pages 117, 161 and 292. [Burkett] Stolen Valor: How the Vietnam Generation was Robbed of its Heroes and its History by B.G. Burkett and Glenna Whitley, Verity Press, Inc., Dallas, TX, 1998. Book review. [People.com] Vietnam 25 Years Later, by Joe Treen, People.com, 21 April 2000.